Laura Bond and Jessica Beck will provide a five-hour Emotional Body® workshop during the international Feldenkrais Method® conference, held September 26-30 2018 in Washington, DC. The themes explored in this year’s conference are transformation, science and art. What defines a transformative experience? What is the role of the Feldenkrais practitioner in the process of transformation? How much of our work is science, how much is art? All are welcome to attend the conference. 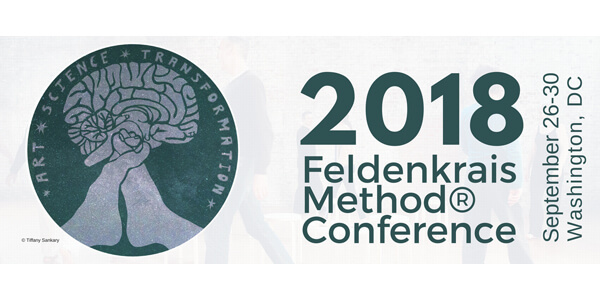 You don’t need to be a Feldenkrais practitioner or guild member to attend or benefit from the conference events and workshops. Registration is open to the public. Register by the early bird deadline of July 31st, and save on registration costs.